Production of biotherapeutics whether for clinical development or large scale manufacturing campaigns intended to be converted to final drug product often involves frozen storage. Frozen storage provides manufacturing process flexibility while enabling long-term product stability. Products are frozen and stored using a variety of technologies including stainless steel vessels, bottles, carboys and single-use bags. Use of bags has become popular due to their low investment cost and process flexibility attributes. Single-use bags intended for freezing and storage are often made with films using EVA and/or LDPE with product routinely blast frozen and stored to -30°C in a cold storage warehouse. 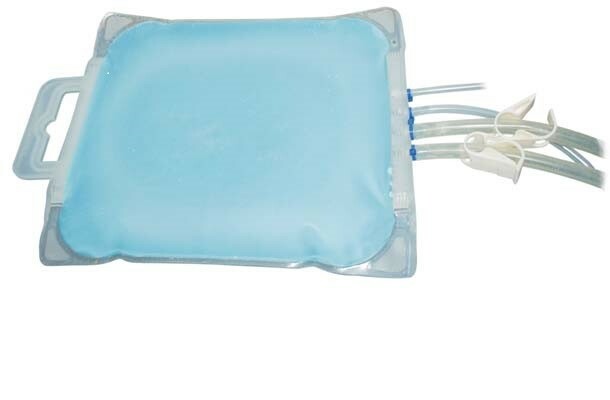 During freezing and transport, the bags will typically experience temperatures well below -30°C ranging from -50 to -80°C. Under these conditions, the bags have to endure a wide variety of stresses (film brittleness, volume expansion, etc.) impacting integrity. With applications (like working cell banks for example) requiring lower temperatures for maintenance of long-term product stability, frozen storage films and containers designed for these conditions are needed. The new single-use Freeze-Pak™STS (FP-STS) frozen storage and transport solution containers from Charter Medical, Ltd. are manufactured using a unique polyolefin monolayer film designed for freezing applications The FP-STS bags (including tubing and connectors) have been validated for storage to -80°C, while the Freeze-Pak™ film remains flexible to temperatures as low as -196°C. The new Freeze-Pak™ STS bags deliver the flexibility and durability required for frozen storage and transport.